I came as your Guest, I said. In your woods by the sea where the south wind blows. My Veena is all I have with me. Look at me, see if you recognize me! Tagores exhorting sentiment in the aforesaid lines of his poem ‘Sagarika’ on Bali (first published in Journal ‘Prabasi’ titled as ‘Bali’) not only express his allegorical desire to search for linkages between cultures and deep respect for the indigenized symbols, but also regrets the crumbled relations hoping to win back the lost melody of union. During his sojourn in Indonesia between 17 August 29 September, 1927 (one and a half month) he travelled from Belawan in Sumatra to Medan, to Batavia (by Boat Plancius reaching on 21 August), To Bali (Buleleng, Bangli via Singaraja & Kintamani, Karang Asem, hill station of Tampak Siring,Denpasar, Ubud and Mundu), to Surabaya, Surakarta and Yogyakarta, Bandung and Batavia. He also visited quarters of Muhammadiya in Yogyakarta guided by one Mirza Ali Beg, a Marathi-speaking resident of Mumbai who acted as a link between Javanese and Indian Muslims in the context of religious self-awareness and educational experimentation. Suniti Chatterjee writes that there were 32 Dutch-Javanese schools and 62 primary school;s in Java under Muhammadiya sponsorship. Though distressed to see the crumbling ruins of a proud civilization strewn like a vast heap of futility, he aspired and craved for a day when unvanquished man will retrace his path of conquest, despite all barriers, to win back his lost human heritage. In Surabaya, while interacting with Javanese doctors, lawyers, merchants, newspaper editors and former government officials whom Tagore described as a challenging group of committed young men caught in a battle of ideologies, He advised that there could not be any union along the path of universal competition for power and material goods, but that a meeting was possible on the intellectual and spiritual plane through an effort to understand each other. To mobilize donations for Shantiniketan. Kalidas Nag, an Indian Historian who visited Indonesia in 1924 prior to Tagores visit, was surprised to find that Tagores literature was well known in Java through translations by people like Noto Soeroto. 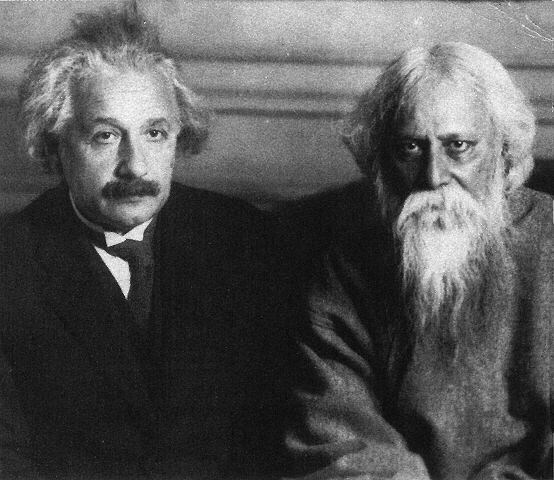 In fact, Soeroto was so enamored by his literary and spiritual guru, Tagore, that he named his son after him: Rawindra Noto Soeroto. Tagores close friend Soeriosoeparto, a Javanese nobleman, also contributed to his popularity by translating many of Dutch writings of Noto Soeroto on Tagore. During Tagores visit to Surakarta he was honoured with a proud moment of opening a road named after him (on 18 September, 1927): TAGORESTRATT. The aforesaid history testifies the relevance and importance of Rabindranath Tagore in Indonesia and implies that we need to revive the waning heritage and renew the forgotten legacy of a patriot who strove to rebuild lost cultural ties by his basic faith in the unity of man and in a moral universe.